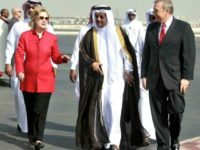 A major scandal, largely uninvestigated, is the Obama Justice Department’s protection of Hillary Clinton and the Clinton Foundation. 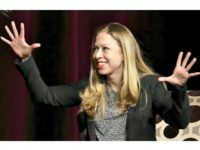 Doug Band accuses Marc Mezvinsky, husband to Chelsea Clinton, of trying to boost his hedge fund by leveraging his connection to Clinton Foundation donors, according to an email which Wikileaks released Sunday. 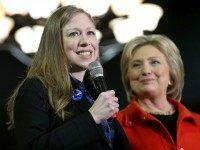 Former top Clinton Foundation staffer Doug Band wrote a letter to Hillary Clinton campaign chairman John Podesta warning him that a probe into Chelsea Clinton’s use of “foundation resources for her wedding and life for a decade” could hurt the entire organization, according to a Wikileaks email dump. 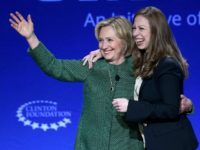 Donald Trump issued a statement on Thursday afternoon, blasting the Clintons and the Clinton Foundation based on a recent report that revealed a top Bill Clinton aide wrote a 12-page report illustrating how they raised millions for the Clintons personally and for the Clinton Foundation. 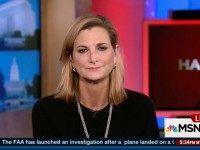 James V. Grimaldi and Anupreeta Das report in the Wall Street Journal that a “[h]acked email memo published by WikiLeaks details lucrative arrangements made for Bill Clinton” by two top Clinton Foundation fundraisers who “pressed corporate donors to steer business opportunities” to the former president. 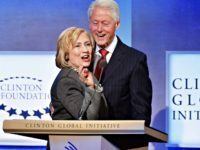 A memo seen in Wednesday’s batch of Wikileaks emails reveals the shocking cash cow that is “Bill Clinton, Inc.” — with blurred lines between the non-profit organization of the Clinton Foundation and the for-profit company Teneo. 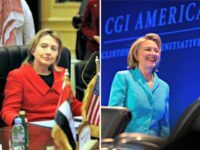 The Clinton Foundation gave incomplete and misleading information to its own employees about their feedback given during a corporate review, according to a memo seen in the latest Wikileaks release of John Podesta’s purported emails. 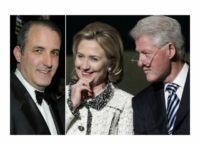 Doug Band, once one of Bill Clinton’s closest advisers, accused the former president of having hundreds of conflicts of interest between his family’s embattled foundation, its sponsors, and a connected consulting firm called Teneo Holdings LLC, according to purported emails produced by WikiLeaks. 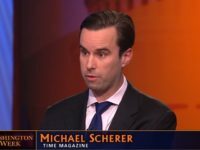 Doug Band, a co-founder of the Clinton Global Initiative and a top Clinton insider, accused Chelsea Clinton of backstabbing – specifically, of giving “a kiss on the cheek while she is sticking a knife in the back, and front” – in a January 2012 email sent to top Hillary Clinton campaign chairman, John Podesta, and top aide, Cheryl Mills. “As they say, the apple doesn’t fall far,” Band added.